This FAQ and Glossary defines a number of terms used in regards to athletic shoes, Charlie, or sneakers. To jump to a specific section of the FAQ and Glossary, click one of the letters below. If the desired term begins with a number or symbol, click on the "#" symbol. If unsure, try a search. An athletic shoe designed for the sport of handball. Nearly always features an outsole of gum rubber. A basketball shoe cushioning technology used by And 1. It features a variant on the basic idea of Nike AIR embedded gas technology. Popular name for a California cult ("Higher Source") that engaged in mass suicide in March 1997. Extensively noted in the media for wearing black Nike sneakers with spiffy white SWOOSH logos on them. An inert gas that is lighter than air (either Nike AIR or normal breathing air). Predominately sourced from natural gas wells in Texas. 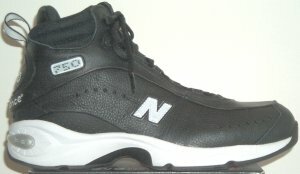 Converse introduced a basketball shoe with helium in November 1999, followed by a helium-cushioned skate shoe in 2000. 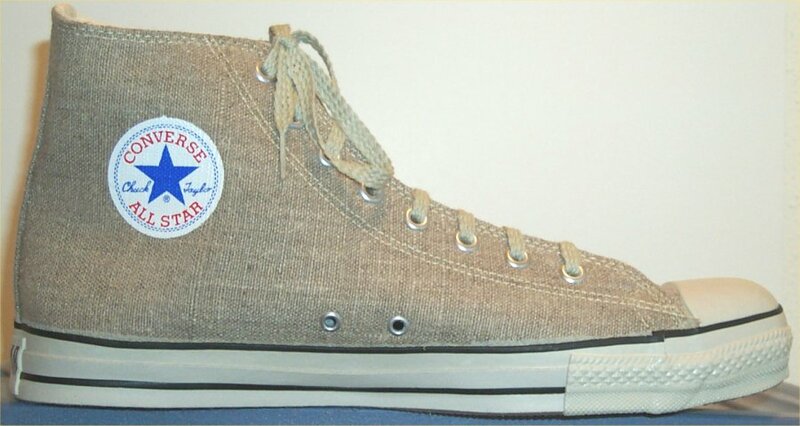 A type of canvas sometimes used to make sneakers, including the pictured Chucks. Hemp canvas is more durable than many other materials. Hemp cultivation, even for fabric, is illegal in the United States (except for research) because of drug abuse concerns. However, the finished cloth is legal to import because it contains no active molecules. 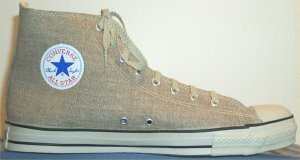 Some Nike Considered styles incorporated hemp canvas. A Reebok trade name for a honeycomb shaped shock-absorbing material used in many of their athletic shoes. An alternative term occasionally used for a high-top sneaker. A sneaker that extends significantly upward over the ankle, providing resistance to the foot moving in all directions. Interestingly enough, in the boxing world, a shoe that would be called a "high-top" by most is called a "low-top" boxing shoe. Wrestling shoes are always high-tops (or very close) by regulation, and the great majority of Baby Boomer basketball players wore high-tops. The reconnaissance sneaker defined by Military Specification MIL-S-21257 was a high-top. A patch (usually with the manufacturer's logo) on a high-top shoe, that covers the wearer's ankle. A feature of many classic high-top sneakers, including Chucks and PRO-Keds. Traditionally, the ankle patch was on the inside for added ankle protection. However, some recent shoes have had it on the outside for added marketing value. Some have even had it on both the inside and the outside. The Converse "Chuck Taylor" All Star is the original basketball sneaker and still as much of a high-top as it ever was. Chucks are popular as weightlifting shoes. PRO-Keds high-tops are still available. The Reebok Ex-O-Fit (male) and Freestyle (female) are widely available and eminently useful for lighter-duty athletic activities. New Balance a while back added a high-top model (the BB880 series, in white/black and black/white) to their basketball line. Vintage (reissue) adidas models (including high-tops) are still available. 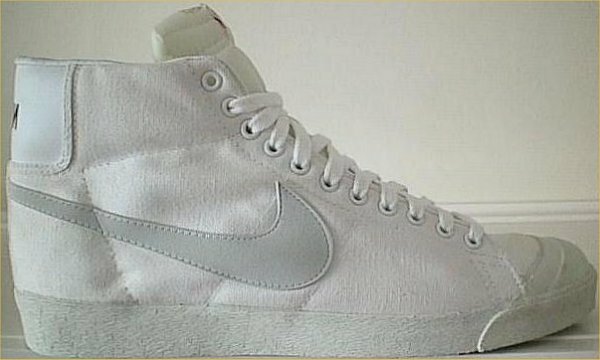 Some of the models branded as "¾ high" are high-tops for all intents and purposes. Try the Active Ankle brace... who needs high-tops with that much protection? Yes... I (Charlie) know that some people just don't feel at ease without the traditional "high-top feel." Start wearing Otomix shoes or wrestling shoes in the gym for lower-impact activities. More than a few guys do, and I a while back saw a really cute young woman in a pair of ASICS. 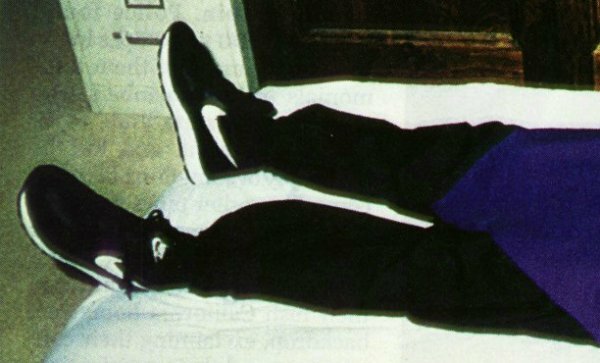 As to the current near-total absence of modern (as opposed to reissue) high-top sneakers: I (Charlie) suspect that they have been done in by the results of biomechanical research and modern protective devices like the Active Ankle brace. Since the ankle deals extremely well with back-and-forth movement (but can be damaged by excessive side-to-side movement) modern designs (high-sided, low-backed) provide the best combination of stability and mobility. Traditional high-tops constrain mobility in directions where it would be useful, as well as where it is damaging. Traditionalist Baby Boomers may remember the admonition of their old school basketball coach: "Real basketball players wear high-tops." However, this statement was more likely than not made when Chucks (which, if you admit, are downright floppy compared to modern designs) were the state of the art. Now retired basketball player who played with the Detroit Pistons, Orlando Magic, Phoenix Suns, and Los Angeles Clippers. 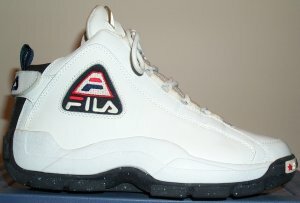 Wore and endorsed Fila athletic shoes. Like walking, but to a place where one gets away from it all. 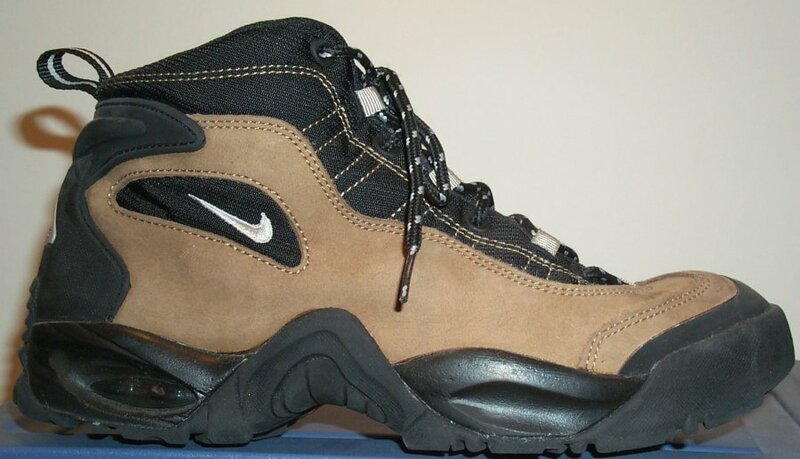 Performed wearing hiking boots, a type of shoe that was once incredibly clunky but has become more and more like a sneaker. An alternate term used by some manufacturers (particularly Under Armour) for their sport sandals. A nickname for basketball. Named for the tiny (or so it seems when you're trying it hit it, even though Coach insisted one could put three basketballs through it at once) round metal object that basketball players try to shoot the huge orange ball through. Another nickname for basketball sneakers. Natives of Indiana, one of the fifty United States. Many Hoosiers are hard-core basketball fanatics. The video of the 1987 movie of the same name, about a small-town basketball team in Indiana, features a pair of black high-top Chucks on the dust jacket. Originally, a Mexican sandal with interwoven leather straps. 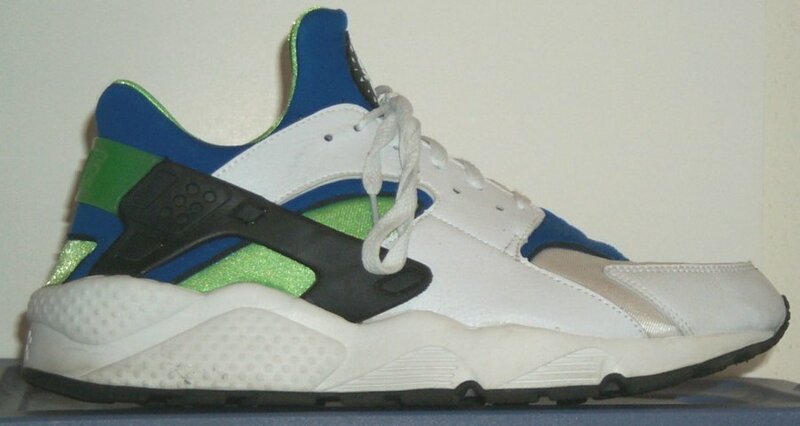 Later on, a series of Nike athletic shoe designs that featured huarache-like design elements. A trademark of Brooks for a patented cushioning pad used in their athletic shoes.